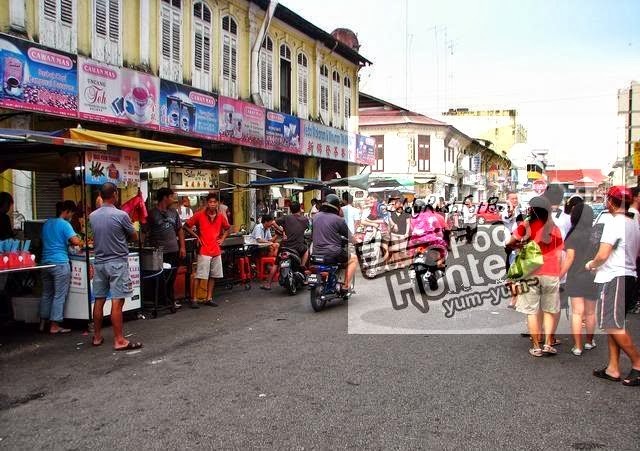 Muar's famous Glutton Street or Tam Chiak 贪吃 street popular with locals and tourists alike is located along a 100 metre stretch of Jalan Haji Abu, starting from the junction with Jalan Meriam at one end to Jalan Ali at the other end. This is the northern end of Muar's Glutton Street, at the junction of Jalan Haji Abu and Jalam Meriam. Let's take a walk down Muar's Glutton Street together. Muar is famous for its otak otak. This is one of the otak otak stalls along Glutton Street,They say that a trip to Muar is incomplete without savouring Muar's famous otak otak. We did the obligatory and they were indeed very good. Flavourful curry spices, coconut milk and packed with tender, juicy fresh minced fish. A visit to Malacca will never be complete until you take a taste of the popular satay celup. let me give a simple description of satay celup. "Satay" is an authentic Malay food of grilled marinated meats (common meat used are chicken and beef), served on bamboo skewers, usually come with spicy peanut sauce for dipping. On the other hand, "celup" means "dip" in Malay language. 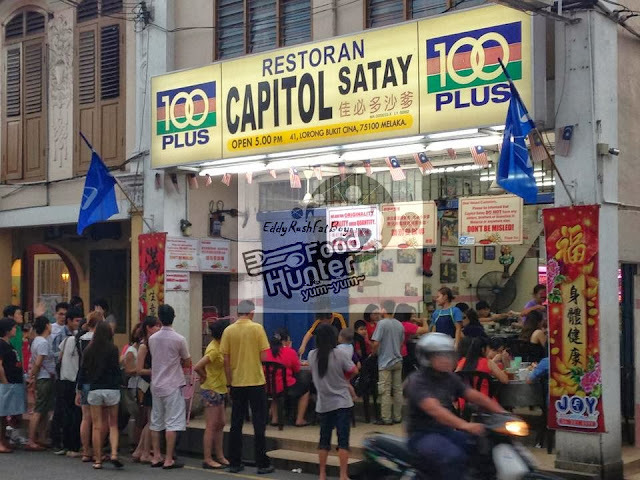 With all the hype that’s going around about Capitol, I’ve always wanted to try out the Satay Celup over here,But the scary thing about coming to Capitol is that I have to face this…A super loooooong queue.This place is infamously known for being crowded. Customers have to queue along the road and wait patiently for their turn.Feeling determined, we joined the queue. Surprisingly throughout the wait, there were people who gave up and left the queue. 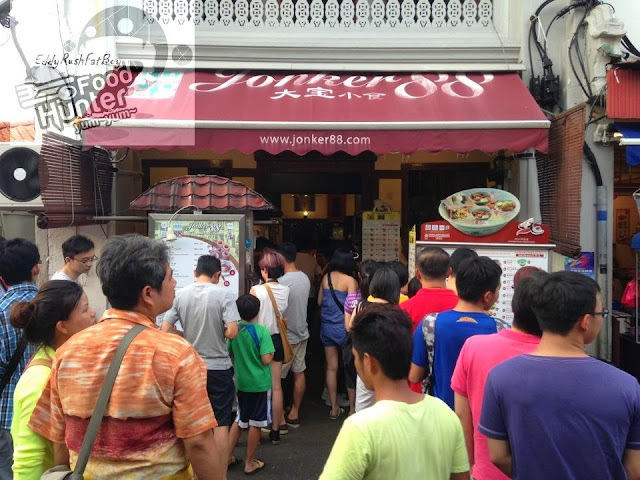 Located on the famous Jonker Street, Jonker 88 is famous for its Cendol. In addition, it also serves dishes and desserts like Ice Kacang, Curry Laksa, Nyonya Laksa and Yong Tau Fu. However, the Durian Cendol is the main attraction, and it has even been featured on the 8TV Hochak show. It comes sprinkled generously with palm sugar (gula melaka) and coconut milk (santan). A self proclaimed 'Museum Cafe', the numerous artifacts and ornaments on display on the walls are an additional interesting sight. While you are sweating and tired of walking around the town center, this is a shop that you could pay a visit to take a rest while enjoying the cooling iced Baba Chendol. It's a fascinating experience and truly relaxing before you continue your visiting to more places.